When I left my dog alone in my apartment for the first time, she howled like crazy. She acted as if being alone were a living death. I could see her desperate face staring at me out the window as her paws scratched fruitlessly at the glass. Her cries for me to come back nearly broke my heart, but I had to be tough and let her work through her panic and desolation on her own. Now when I leave, she barely opens her eyes from her morning nap. She doesn’t love it, but she has accepted it. She’s realized she can live through it, and the world won’t come to an end. Professional matchmaking companies, like Perfect Partners, can make dating feel less stressful and perilous. 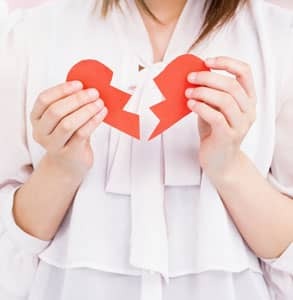 In the same way, a heartbreak may leave you breathless, desperate, and wild-eyed at first, but working through those emotions can help you resolve them in time. Social rejection can be physically and psychologically painful, especially to people with low self-esteem. However, rejection is an unavoidable consequence of living in the world and building relationships with people who have different intentions, temperaments, and lifestyles. You can’t be compatible with everyone. This article is about turning a rejection into something constructive and — dare I say it — good. 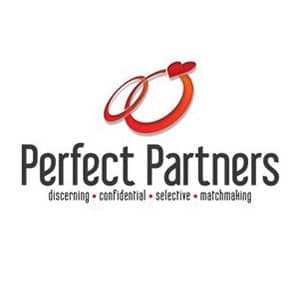 The matchmakers at Perfect Partners, an exclusive matchmaking company in South Africa, gave us valuable insights into what singles can do to master rejection and come out of heartbreak a stronger and smarter dater. After working in the dating industry for nearly two decades, these dating experts have a lot to say about how to move forward and seek meaningful relationships without being discouraged by rejection. Perfect Partners often takes on clients who have spent years, maybe decades, struggling in the dating scene. These individuals sometimes feel isolated, hopeless, or insecure about themselves. Some have experienced the loss of a loved one and are afraid to open their hearts again. But they end up in the matchmaking offices because, in their hearts, they want to build a life with someone special. They want to believe that love is possible. And that, in itself, is a step forward. You can heal a broken heart by understanding what went wrong and how to fix it. Yes, that is actually a reason someone gave the matchmakers one time. Rejection happens to the best of us. It’s part of life, and it’s no reason to hang up your dating cap forever. One person’s opinion — or even a few people’s opinions — shouldn’t have that much power over who you are and what you want. When someone, for whatever reason, decides they don’t want to date you, they’re freeing you from a relationship that wasn’t right for either of you. Breaking up is kinder than stringing you along. You can use that experience to learn more about yourself and your needs so you can do better next time. Sometimes singles just get stuck in their heads, repeating a false narrative to themselves about why they find themselves on the wrong end of a breakup time and time again. “I’m just too nice,” he’ll tell himself as he waits for a text that’s never going to come. “I’m too wrapped up in my career to date anyone,” she’ll say as she digs into a pint of ice cream. These excuses are comforting, but they’re not going to solve the essential problem. If you want to change your dating results, you have to change your dating habits. You have to assess yourself with a clear head and decide what you can do to pursue healthy relationships instead of making the same mistakes. You can take a moment to blame others and feel sorry for yourself, but then you have to get back to work. By cultivating a positive mindset and persevering through rejection and disappointment, you can create a better future for yourself and attract people who want to be part of your life. Being rejected can trigger a fight-or-flight response in people. They want to yell at their ex, or they want to run away from their memories of being together. While these responses may temporarily save singles from pain, they won’t provide the healing and acceptance needed to move forward. You need to work through your sadness and confusion by realizing it’s not the end of the world, it’s not a fatal judgment on you, and there’s always a path forward. Being alone can be frightening, especially to a young dog, but those moments can also offer the quiet introspection that leads to self-improvement and clarity. Professional matchmakers can help singles meet compatible and relationship-minded people. However, Perfect Partners makes it clear that dating success isn’t just about having access to quality people — clients need to be in the right headspace to make the most of those connections and get in healthy relationships. Your matchmaker knows you personally and works with you through every experience, giving feedback and even coaching every step of the way so you are sure to up your game. A matchmaker also knows your particular single landscape – whether area, generation group, culture, or background – and can more accurately pinpoint the type of person you wish to meet, not just a random grab in the dark!